Joy Harjo is awarded the prize in recognition of her contribution to poetry. Congratulations to 200 New Mexico poet Wendy Brown-Baez who recently had a poem accepted by Water-Stone Review. We know the value of sustained conversations that can build meaningful professional and artistic relationships. Jeffrey Levine, Tupelo Press Editor-in-Chief, will be present from the moment you are greeted before dinner on Friday through the farewell breakfast on Monday. Levine will be joined by prize-winning poets Lauren Camp, Maggie Smith, and Veronica Golos, who will likewise be present and available throughout (see bios below). Before and after the working sessions all three faculty are available to talk with about your concerns as writers: about etymology or the “poe biz” or which presses are right for you, and more. 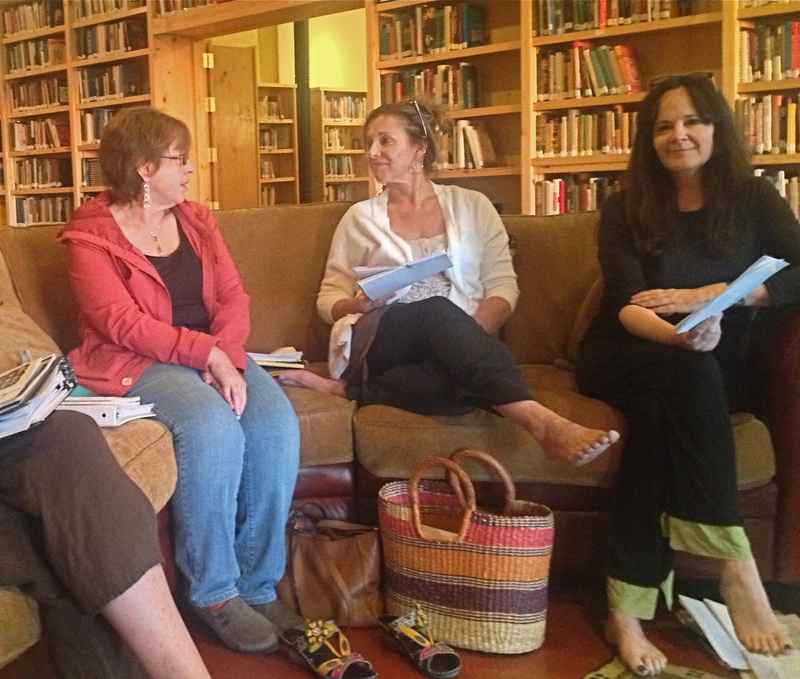 By the end of the retreat you will have a set of new tools for writing, revision and submission to take home from Truchas and apply to your writing life. Read their poems on the Santa Fe Reporter website. Email this info to LPDPress@q.com no later than Friday May 12. We will pas the list of those interested on to the library organizers and they will contact you with more information. Por no ser nativas de esta tierra. Nuestra lengua ya no se escucha, nuestros hijos della se averguenzan. Juan Estevan Arellano – Journalist, writer, researcher; a graduate of New Mexico State University and a Fellow of the Washington Journalism Center. He was a Visiting Research Scholar at the University of New Mexico’s School of Architecture. that’s The Lowrider Capital of the WORLD! Cathy Arellano writes about growing up brown, coming out queer, and living as true as she can which is kinda crooked. Her poetry and prose collection Salvation on 24th Street will be published in 2013. Her work has appeared in various journals and anthologies. Contact her at carellanopoet@yahoo.com. Masa is the bread of life. red chile and meat in center. to the coming of the light. Bonnie Buckley Maldonado has resided in Silver City, New Mexico since 1959. Her work appears in the Willa Award Winning Anthology, Montana Women Writers: Geography of the Heart. She was named Willa Finalist in Poetry by Women Writing the West for It’s Only Raven Laughing, Fifty Years in the Southwest, 2010, her fourth book of poetry. She is Silver City’s poet laureate.